Privacy and cyber-security online are troublesome subjects. Functional tools exist for encrypting online communications and mobile communications. However fundamental problems persist in terms of usability, availability, and adoption. The result is that nowhere near enough people are using them. The need for appropriate tools and programs and associated knowledge to provide anonymity and privacy online is evident in how quickly Internet activity and mobile communications are being integrated into civic and political life around the globe. 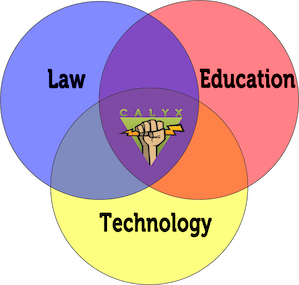 The Calyx Institute's mission is to educate the public about privacy in digital communications and to develop and test building blocks that service providers can use to build "privacy by design" into their service offerings. By building privacy and anonymity controls into services at the lowest levels, therefore making it easier for people to actually use, we hope to make strides toward the ultimate goal of ubiquitous strong encryption. We are a non-profit education and research organization devoted to studying, testing and developing and implementing privacy technology and tools to promote free speech, free expression, civic engagement and privacy rights on the Internet and in the Mobile telephone industry. The organization will continue to develop and improve technology to transform the way the telecommunications industry works in terms of cybersecurity, privacy and freedom of expression. This will be accomplished through research and development, legal advocacy and defense, and by distributing information and open source software as widely as possible for the benefit of the general public, in both democratic and repressive contexts.